If there is one thing that New Zealand is famous for, it’s the stunning scenery and variety of landscapes packed into this this little country. What better way to experience it than getting out into the great outdoors. Tramping part of the Milford Track, paddling with the seals in Abel Tasman Marine Reserve and losing yourself the vast wilderness of Doubtful Sound are just some highlights of this trip. You will have no problem filling two full days with activities in the Auckland region. With over 30 Regional Parks and Scenic Reserves dotted around there is something for everyone. 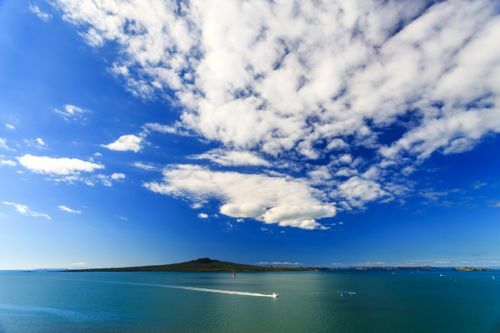 Hiking up Rangitoto Island and enjoying the 360 degree vista is a favourite activity for the locals, as is exploring Waiheke Island; or the magnificent wildlife sanctuary of Tiritiri Matangi Island. 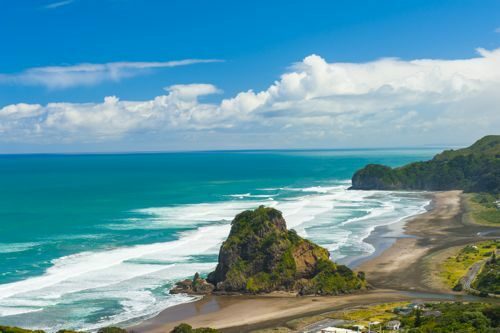 The West Coast of Auckland is a rugged landscape where the Tasman Sea pounds against the Waitakere Ranges, black sand glistens in the sun and the sunsets are truly mesmerising. Thankfully there are countless hiking trails that criss-cross this vast area, making it incredibly accessible. 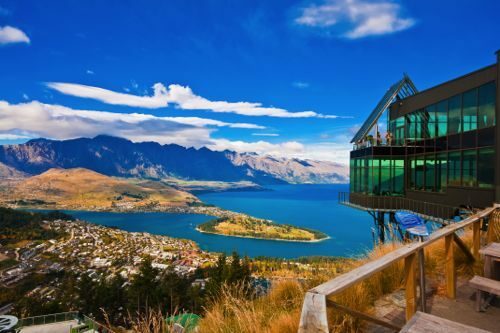 This morning you will make your way to Auckland airport and take the flight down to the South Island and one of the great destinations on the planet; Queenstown. If you’re lucky enough you will get great views of the mighty Southern Alps that form the spine of the South Island, and Mount Cook, New Zealand’s highest peak. The afternoon will be free to explore and partake in any number of activities if you wish. The next day you will get the opportunity to take in part of the Routeburn Track, one of New Zealand’s Great Walks. Your Transport will pick you up in Queenstown, where you will then be driven into the Mount Aspiring National Park along the picturesque Queenstown-Glenorchy Road beside Lake Wakatipu. 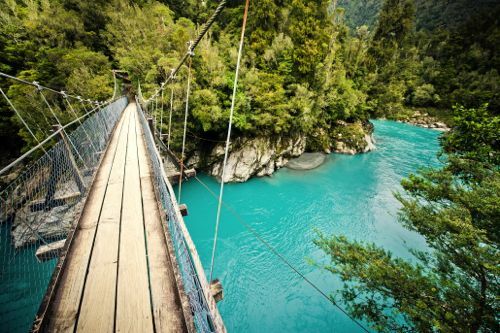 You will start your walk by crossing a swing bridge and entering a spectacular Beech Forest where birdsong will start to fill the air as you make your way towards the Routeburn Gorge that has carved a magnificent gorge over millennia. Lunch and hot drinks are provided and you will return to Queenstown in the early evening. Today you will pick up your hire car and start making your way south and west towards Te Anau and the truly dramatic Fiordland National Park. The drive to Te Anau is a great opportunity to pack a picnic and explore at your own pace; a favourite location with locals and tourists alike is Lake Manapouri, which provides a dramatic backdrop for any stop. Once checked into Te Anau feel free to explore the lakeside town and sample the excellent restaurants and bars that dot the place. Te Anau will be your base from which to discover both the Milford Track and Doubtful Sound. The Milford Sound day walk starts with an hour long cruise across Lake Te Anau, before joining the track at it’s northern end. 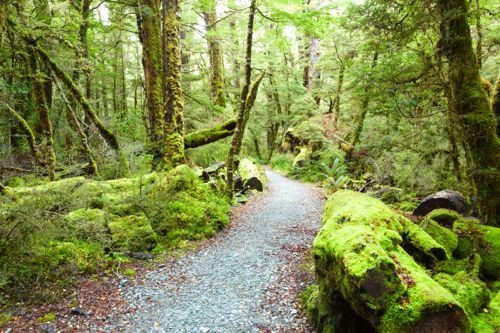 You will take in the Clifton River, passing through Beech Forest, all the while being educated and wowed by your guide as they point out aspects of the forest and history of the area. The return journey is up the Glade Burn Track where you will be treated to majestic views of Lake Te Anau before descending down a dry river bed to the return launch. Exploring Doubtful Sound is sure to leave you with truly wonderful memories and can be either done as a day or overnight journey. Please speak to your Fleewinter expert for expert advice on what will best suit. Today’s destination is Wanaka, where you will be greeted with a majestic lake, framed by steep mountains culminating in the sentinel Mount Aspiring standing tall far in the distance. Walking or cycling along the lake edge is a great way to introduce yourself to the town and sampling the great local wine from a lively restaurant whilst watching the sunset over Mount Aspiring is a truly memorable experience. 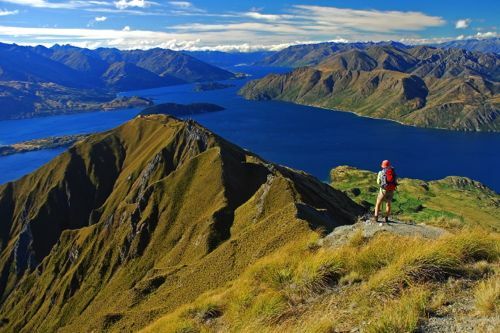 Aside from exploring what the lakeside has to offer, the hike up Roys Peak (weather permitting) is an incredibly rewarding experience; the views from the top are some of the best you will encounter in New Zealand. Leaving Otago behind, your journey will take you over a saddle in the Southern Alps and out onto the West Coast; a truly remote, rugged, and stunningly beautiful part of the world. 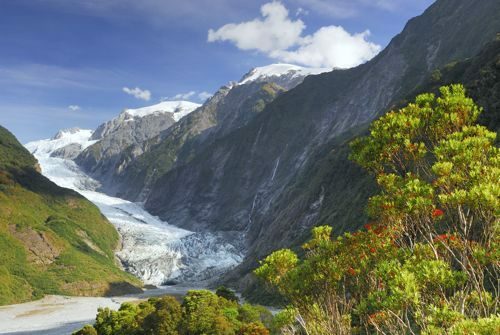 The town of Franz Josef is your destination and has grown organically with the help of the natural wonder that is the glacier; which can be explored on foot, by plane, or by helicopter (weather permitting). The glacier is not the only attraction in town and the ruggedly beautiful setting provides the perfect backdrop for stand-up paddle boarding, kayaking & canoeing, 4WD off-road tours; not to mention an abundance of self guided walking trails, lakes to explore and a great wildlife centre. The West Coast of New Zealand is one of the last frontiers in a modern world and as such is a truly unique place. Windswept, rugged, and down to earth there is a myriad of adventures to be had. The jewel in the crown are the Pancake Rocks at Punakaiki which have been enticing tourists for the best part of a century; but these unique formations are not the only things worth ticking off whilst you are here. Why not pack a picnic and head inland to the remarkable ghost town of Waiuta, giving you a lens into yesteryear and an insight into how New Zealand’s forefathers carved out the country of today; or take in the quirky Blackball pub, chat to the locals and see how intertwined the mining industry is with the Coast. Shanty Town is an excellent living museum showing how the Coast came to be populated and the walking/cycling paths that abound are sure to offer something if you want to get out and about, just don’t be surprised if local bird-life walks inquisitively right up to you to say hello; it’s just that sort of place. The top of the South Island beckons. You will wind your way up the Coast Road and through the Buller Gorge, leaving the temperate rainforest of the West Coast behind to be thrust out into one of the warmest and driest places in the country. Mapua is situated on the coast of the Golden Bay, protected from the elements by Rabbit Island and a mere 30 kilometres from Nelson. 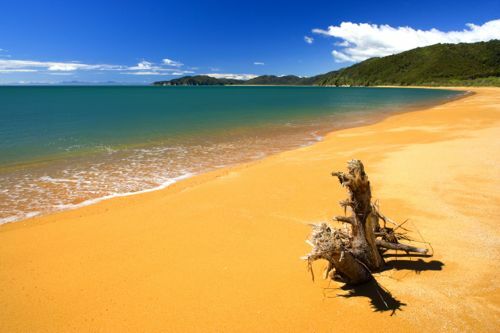 Mapua is the perfect place to base yourself for exploring the truly remarkable Abel Tasman National Park; which should not be missed if the opportunity arises. There are numerous ways to explore this natural wonder, from self-guided day walks, to boat trips, to the more adventurous kayaking tours; all of which are highly recommended. Nelson, being so easily accessible is also a great option; visit the geographic centre of New Zealand, pop into one of the many galleries that dot the city or enjoy an afternoon of gentle cycling along the coastal cycle trail. If you feel like a day trip, then heading up and over the Takaka Hill to Pohara and the Golden Bay is a great way to see a bit of New Zealand most people, Kiwis included, only ever dream of! All of this can be washed down with a tasty craft beer from one of the local breweries and a serving of fish and chips on the Mapua wharf. Make your way to Nelson airport where you will drop off your hire car and board a flight to Auckland and then onward to your destination.